Colleagues at our Boston store are getting excited – and a bit ahead of themselves – about England's World Cup quarter-final with Sweden. Karl Reid, who works on the store's pizza counter, came up with the idea of creating these special pizzas to show his support for the team. He said: "It was a great opportunity to do something a bit different and support the team and everyone enjoyed it. "The World Cup is only on every four years, and it's extra special this time because I'm daring to dream that it's coming home." 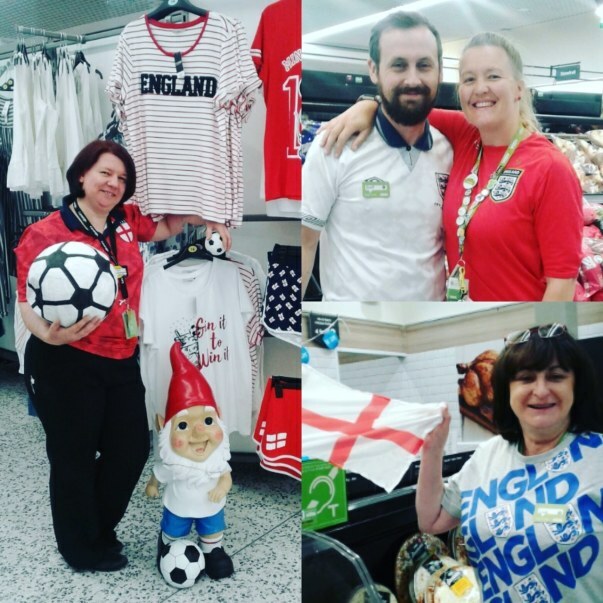 Colleagues at our Southgate store have a special reason to be excited about the team's performances in Russia as their namesake, England manager Gareth Southgate, has become a national hero during the tournament. The store's people trading manager Gifty Banno said: "We feel like we have a special link with the team. If England win, we'll have to send Gareth a personal invitation to come and see us! "Everyone's really excited – it's amazing how far the team have got. We've all been wearing England tops." 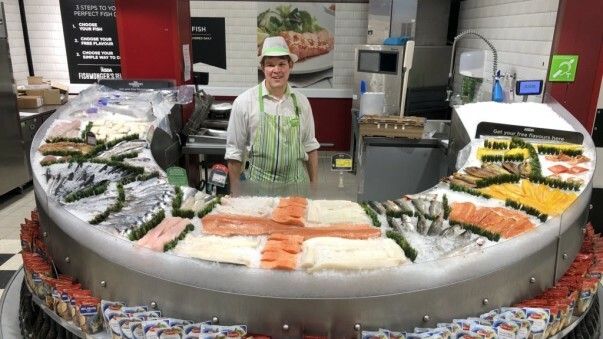 Richard Houlden, who works on the fish counter at the Boston store, also created this patriotic display. And colleagues at our Carlisle store are getting behind the team too.